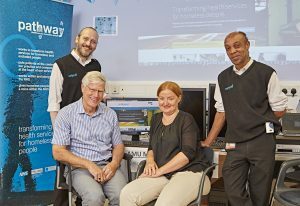 Pathway has introduced the first dedicated digital health-screening template to help health services supporting homeless people. Following two years of development with EMIS Health, the template is now available free of charge to organisations using the EMIS Web clinical system. It was supported by 11 specialist homeless healthcare services for use by 200 staff. Developers aim to roll the template out across the UK, and hopes it will ultimately relieve pressure on hard-pressed hospital departments. In the past hospitals were using different codes and record systems, resulting in inconsistent record-keeping, that meant some homeless people were not receiving the best treatment.